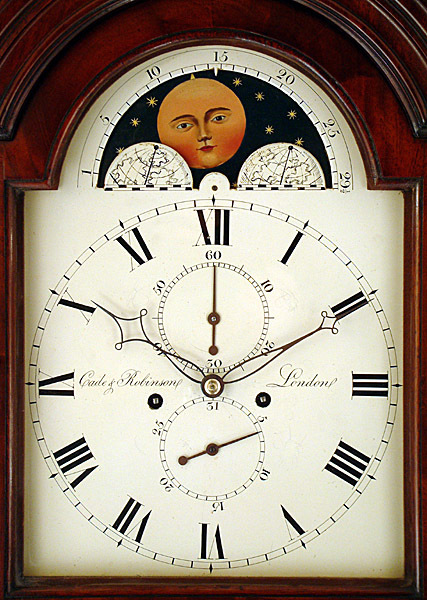 Cade & Robinson of London Longcase Mahogany Early 19C - Height 95.3in. 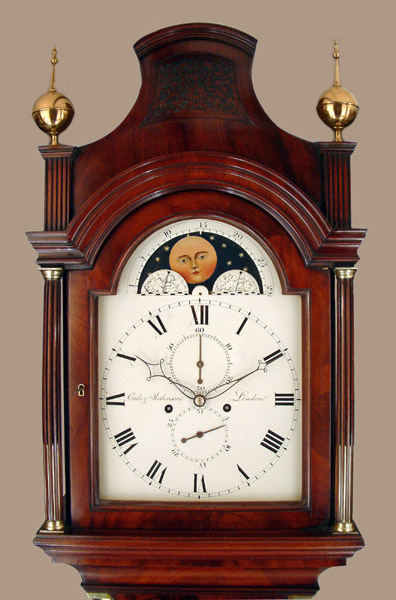 This Longcase Mahogany's Maker - Cade & Robinson of London. Typical late 18C/early 19C high quality "London" Cuban flame mahogany case with pagoda top, two step base, brass insert reeded hood columns, matching trunk quarter columns, side windows to hood and shaped panel base. 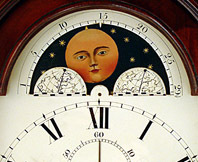 12" breakarch painted dial with moonphases to arch plus subsidiary dials for seconds and date. High quality 4 pillar, 8 day, hourly ( rack ) striking movement with constant gear drive to moonwork. Cade & Robinson of London. 95.3" ( 242 cms. ).